More than 2.3 million leva will be invested in the renovation of the infrastructure of the old town Varusha. The plumbing system of the territory is replaced and now they will fix the cobbled streets. 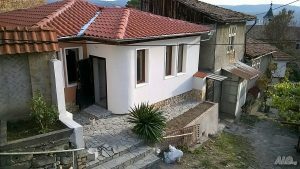 The funds are attracted from the large-scale project of the Municipality of Veliko Tarnovo for urban environment financed under the Operational Program “Regions in Growth” 2014-2020. 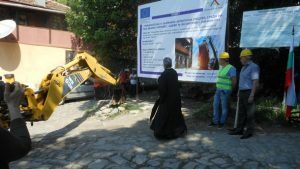 In the northern part of the quarter (above the Samovodska Charshia) the construction works will cover the streets Captain Dyado Nikola, Dragoman, Mednikarska, St. Cyril and Methodius, Pobornicheska , P. R. Slaveikov, Georgi Mamarchev, Pop Matey Preobrazhenski, Vastanicheska. The contractor will maintain the authenticity of the entire neighbourhood. Activities include renovation of street flooring, pedestrian walkways, installation of energy-saving street lighting, the installation of billboards, benches, rubbish bins, etc. The neighbourhood will become better for living and more attractive for the guests of the old capital. The government allocated funds for the replacement of the water mains from the existing water supply network before the implementation of the European project. The ancient Veliko Tarnovo panorama district Varusha will be gasified soon. 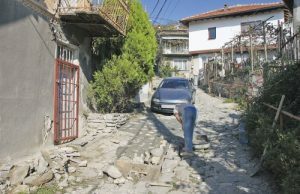 The cheap energy carrier will come in the other areas of Old town Veliko Tarnovo, along with the repairs and the excavation of most of the streets will be laid gas pipes. This will provide an alternative to dozens of families currently warming up on solid fuel and electricity. 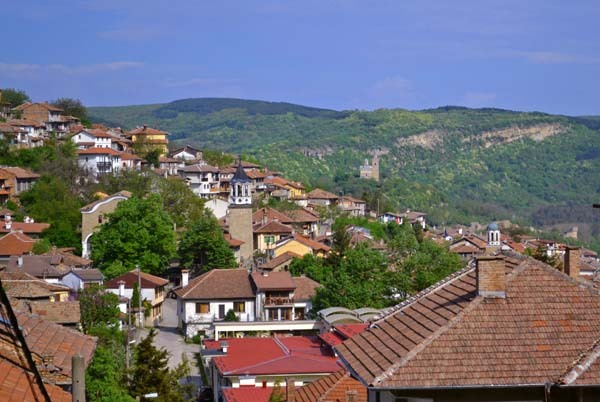 The project “Preserved and Authentic, Attractive Urban Environment of Veliko Tarnovo” has a total value of 11 million leva. It envisages the renovation of 38 streets and squares in the old town part, and for the timely realization of the construction the sites were divided into several detached positions. Nearly 9 million leva will reach the investment in Old Veliko Tarnovo town, and another BGN 2 million will be invested in the infrastructure, landscaping and enrichment of the Cholakovtsi district. The money goes to new streets, 120 parking spaces, sidewalks, and a direct connection between Cholakovtsi and neighbourhood “Buzludzha”. 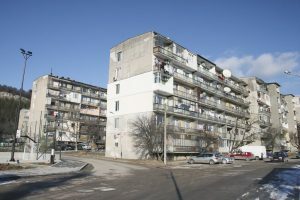 The first phase of repairs in the residential complex provides for the renovation of 7400 square meters of pavement and pedestrian alleys, the replacement of street curbs and the laying of more than 2,800 square meters of asphalt pavement, the installation of new benches, gazebos, rubbish bins, of the main sections “Rada Voivoda”, “Byala Bona” and “Kapitan Raycho Nikolov”. In addition to renovating the infrastructure and elements of urban furnishings, the project also provides for the cultivation of 15 coniferous and 67 deciduous trees, over 2000 ornamental shrubs and flowers and a grassy area of ​​9.6 decares. New 121 parking places will be formed. 876,000 leva will worth the new street that will connect the central part of the old capital with the South road junction. 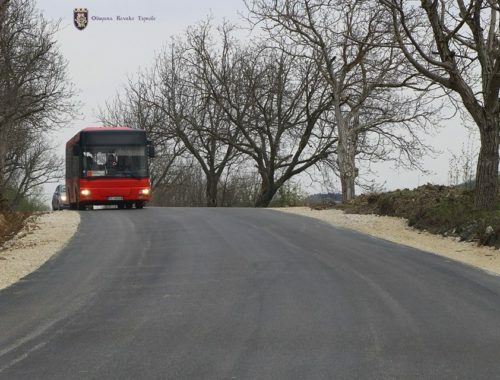 The new street will connect the central part of Veliko Tarnovo town with the southern road and the western areas and will provide direct access to over 500 families. The section will connect Kozloduy Street with Marmarliyska Street and will pass by the Rock Wreath and the residential neighbourhood, which was made in place of the former pharmacy factory. The aim is to unload the traffic around the Patriarch Evtimii School and to save several kilometres of tours in parallel. All construction activities are expected to be completed by the end of the year.